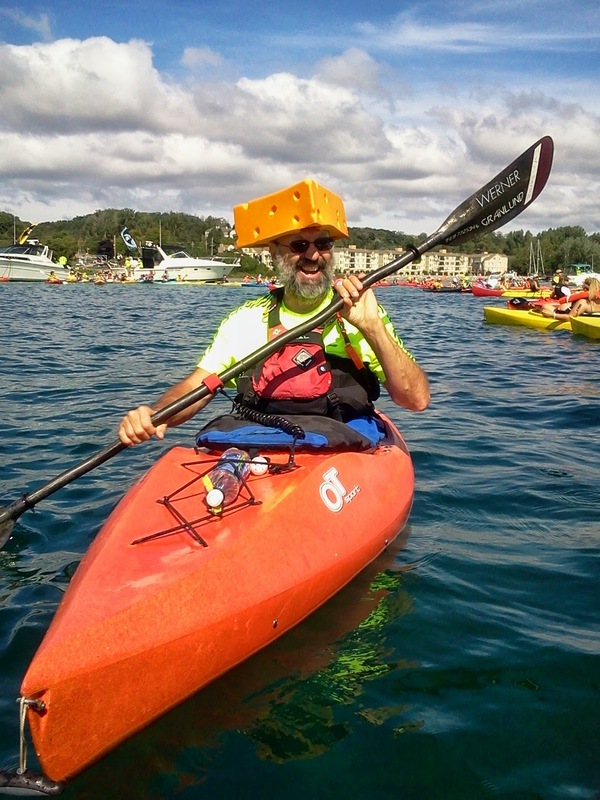 Labor Day weekend on Sutton's Bay was the perfect setting as eight paddlers, loosely affiliated with the ECPs, joined 2091 of their closest friends in an attempt to break the world record for number of kayaks / canoes rafting together. Training for such an event takes long hours and dedication. 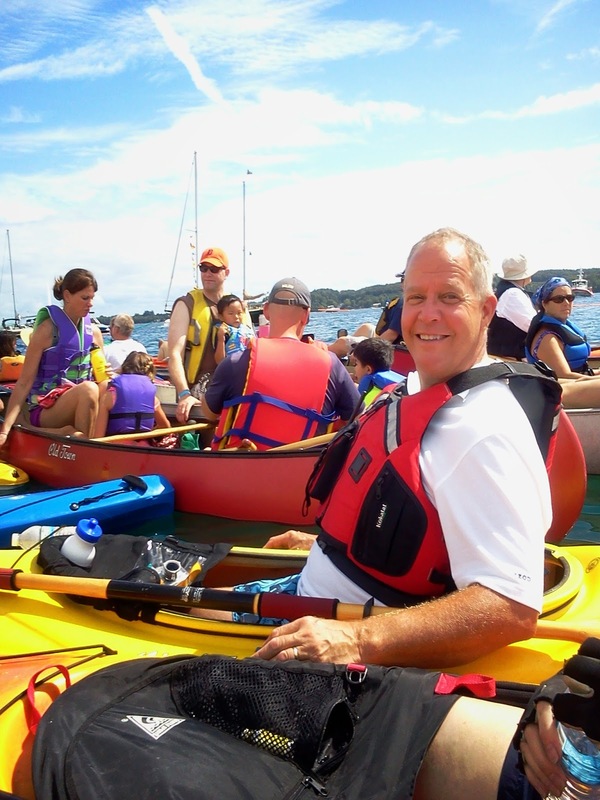 Kayakers must be able to sit in their boats for approximately an hour. Maintaining position thru skulling and yanking on neighboring boats is key to staying within the perimeter ropes. Balance is challenged as kayakers are expected to hit beach balls back to the fellow record breakers. Most critical, however, is the ability to hear the announcer over the hooting and hollering of the floating athletes. 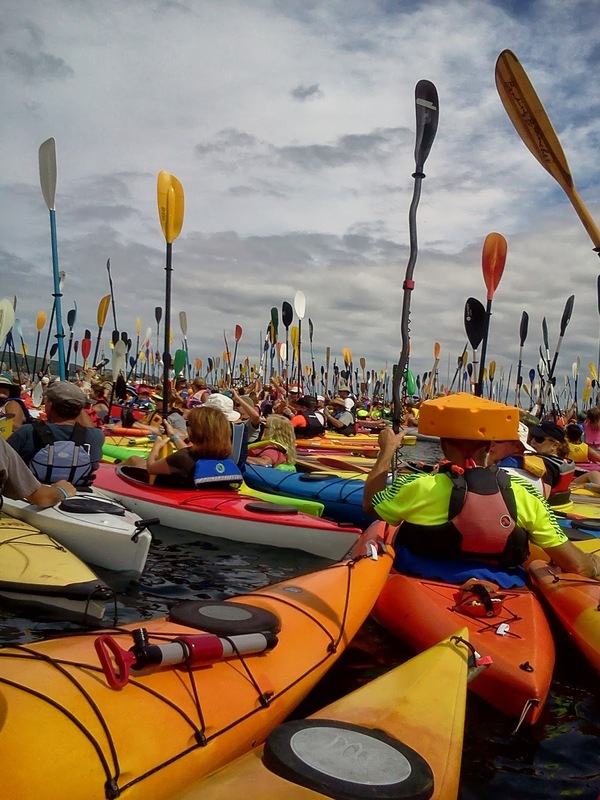 To break the record, per Guinness rules, the flotilla must be a contiguous floating raft of touching kayaks held together for at least 30 seconds. The count is verified using aerial photos. The record to beat was 1,092; held by "One Square Mile of Hope" since 2011. Lat year's Floatilla's attempt to beat this record fell short. The fund raiser, raised over $50,000 for Sutton Bay Public Schools.